Even the best and strongest relationships can crumble if certain habits are found in a relationship. 1. Bottling up feelings is a habit that shouldn’t be found in your relationship. When you bottle up feelings, it builds resentment which is harmful to any relationship. Don't expect me to become spirit in knowing your mind. 2. Taking your partner for granted is a habit that can destroy even the best relationships. Just because you got your partner to commit to you is no reason to reduce the efforts you put while trying to have him/her. 3. Being inconsistent is a habit that shouldn’t be found in your relationship. Feeling like you can’t do without your partner one day and then acting like you don’t want to be with your partner the next day isn’t good for any relationship. 4. Denying your partner in public is a habit that can destroy even the best relationships. If you aren’t proud of being with your partner, there’s no point being in that relationship. 5. Arguing with your partner in public is a terrible habit that isn’t good for any relationship. Arguing with your partner in public is embarrassing. Learn to talk about it in private. 6. Holding on to grudges is a habit that isn’t good for any relationship. Not forgiving your partner and holding on to grudge is a poison even to the best relationships. 7. Failure to bring up certain conversations at the appropriate time isn’t good for any relationship. It’s a wrong idea to bring up serious conversations when your partner is stressed at the end of a workday. 8. Keeping score is a habit that shouldn’t be found in your relationship. Keeping track of every little detail can cause unnecessary tension in a relationship. Just because you did this doesn’t mean your partner should do that. 9. Snooping through your partner’s email, texts and personal stuffs is a habit that shouldn’t be found in your relationship. Trust is important in every relationship and snooping through your partner’s things shows lack of trust. 10. Nagging is a habit that shouldn’t be found in your relationship. 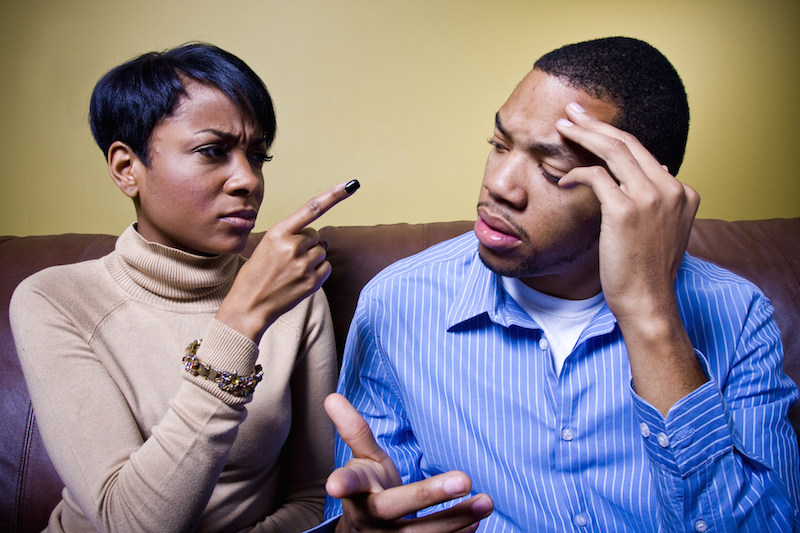 Constant nagging causes dissatisfaction in a relationship. It only makes things worse. 11. Letting your self go and not taking good care of yourself is a habit that shouldn’t be found in your relationship. It’s wrong to let yourself go because your partner is now committed to the relationship. 12. Complaining about your partner to your family and friends is a habit that shouldn’t be found in your relationship. If you are upset or don’t like your partner’s behaviour, talk to your partner directly instead. 13. Using the silent treatment is a habit that shouldn’t be found in your relationship. Learn to address issues in a more productive manner instead of using the silent treatment. 14. Lying is a habit that shouldn’t be found in your relationship. Even those little white lies you think are harmless can cause serious damage to your relationship. Lying destroys trust in a relationship. 15. Constantly comparing your partner to your ex or some persons you know is wrong. Doing this leads to unrealistic expectations which can cause serious damage to your relationship.